Houston Astros 1999 All-Star Game Cap - Fresh Fitted Friday!!!! This has that messy style of New Era crown panel lining that I have mentioned previously. 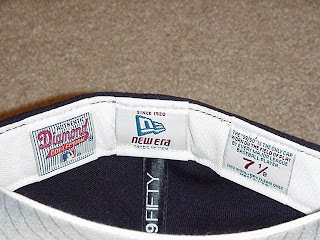 Here is a good view of the sweatband tags that were used in 1999. We are almost two months into MLB's 2015 season and I don't think that anyone's preseason predictions had the Houston Astros playing as well as they are. I hope I'm not jinxing them By saying that (although I think I just did jinx them; I'm sorry, Astros fans!) but I think it's a welcome change of pace considering the homogenous selection of successful teams over the past few years. This unexpected success is good for Houston fans and I feel that it's beneficial for baseball overall. I like it when people get excited about clubs that aren't necessarily their hometown team. Even though I'm a San Francisco Giants fan, I certainly appreciated (after the Giants won the World Series, of course) how many people got behind the Kansas City Royals last season and I even saw a good number of people wearing Royals caps here in New York City. I'd estimate that in my lifetime, I've only seen about a dozen people wearing Houston Astros caps but to be fair, I've never even been to Houston! Maybe the baseball gods will be good to the Astros this year but it's too early to make any claims about the season's ending. I can however make a few guesses on two players who should be selected to the 2015 American League All-Star team. I think that starting pitcher Dallas Keuchel and second baseman Jose Altuve have been exceedingly impressive this season so I'm looking at them as no-doubters so far. I'm sure there is a case that can be made for some of the other guys on the team, but we'll see how the Astros fans can swing the votes! 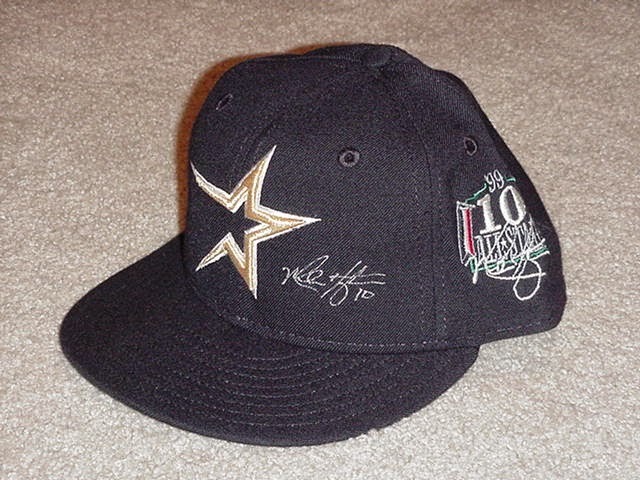 I wish I knew what this year's All-Star Game caps were going to look like but we will have to wait for Memorial Day to pass before we see anything. As for Memorial Day, all of the teams playing on the holiday will be wearing their normal cap with the "USMC Trademarked Digital Camo Pattern" on the bill. I'm sure that after this weekend the Authentic Collection caps for this year's All-Star Game will show up on MLB's site but until then you have the option of purchasing one of six (!) different Cincinnati Reds caps with the 2015 All-Star Game patch on the wearer's left side! * I want to be clear that this is not a cap that I own. 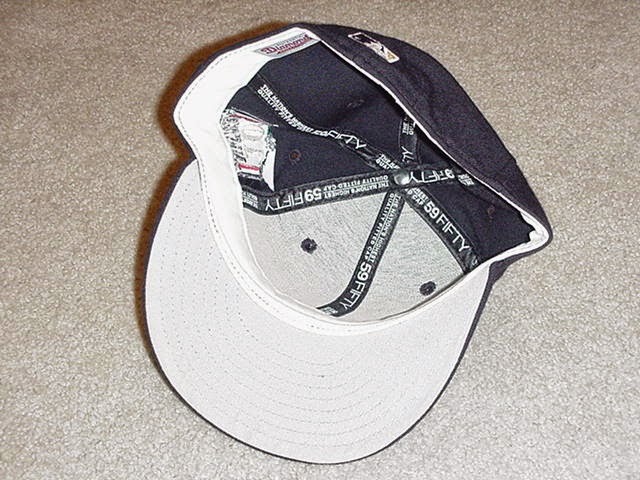 I happened to come across these photos in my search for caps from the late 1990's and I thought the cap looked pretty neat. If you really like it and you'd like to make it yours, follow this link!